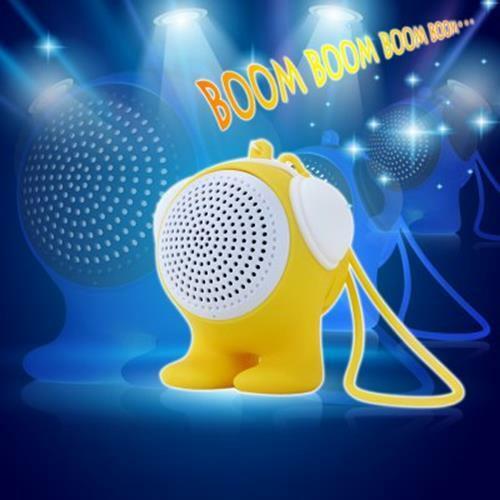 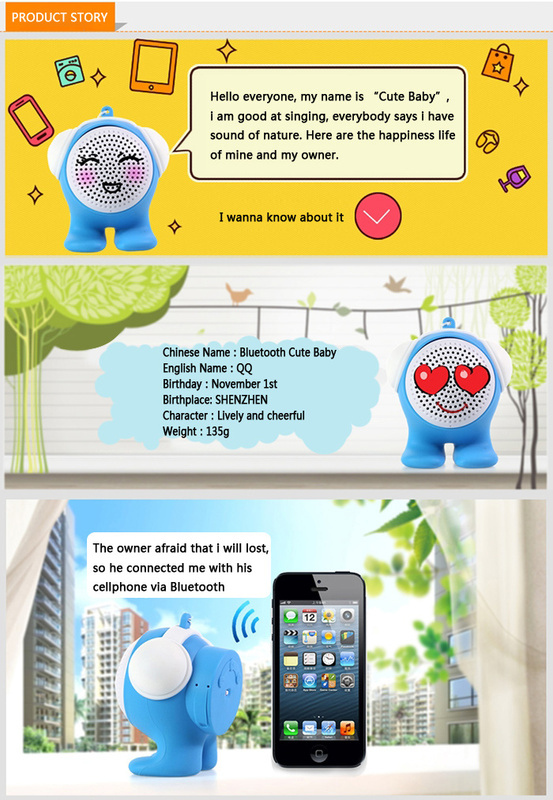 This innovative Cartoon Shape Mini Bluetooth Speaker adopts Bluetooth V3.0 + EDR technology. 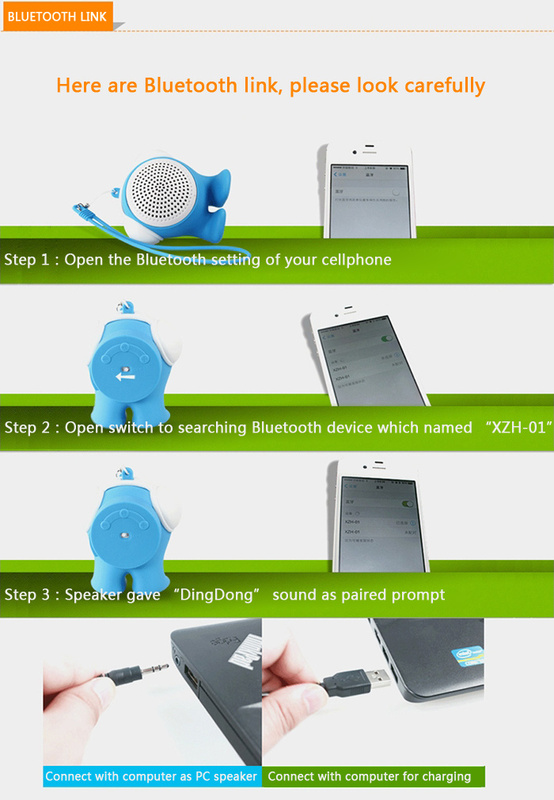 It is compatible with various of Bluetooth-enabled electronic products as well as 3.5mm audio jack digital devices. 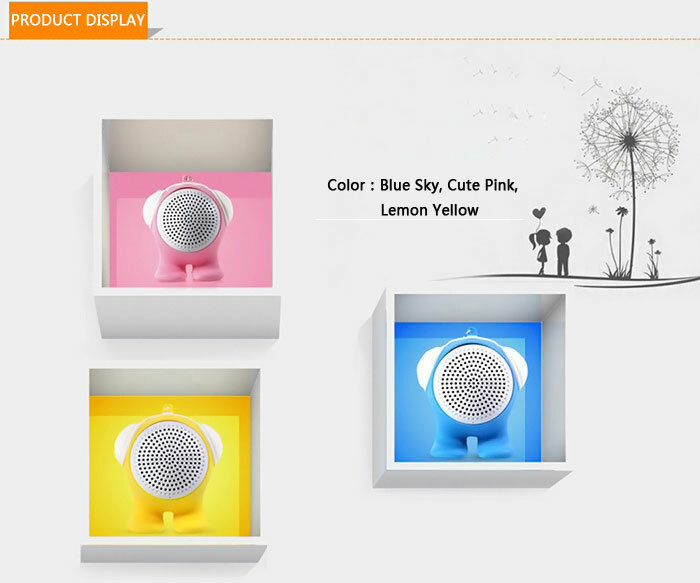 Features with advanced Bluetooth, it sends great interference-free performance, excellent data rate, high quality music and efficient hands-free calls. 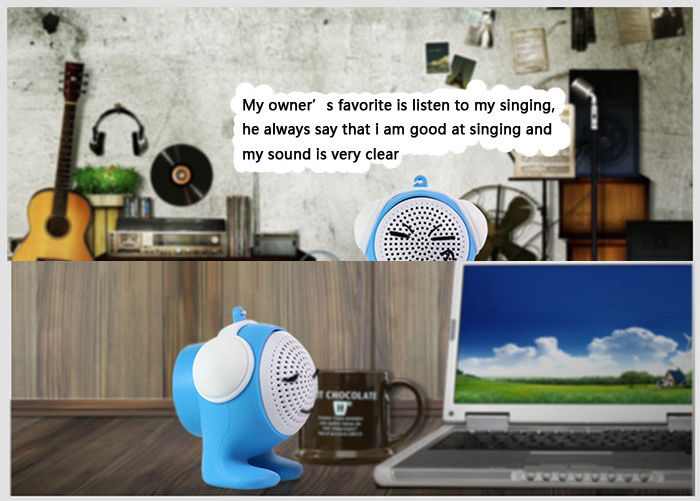 Therefore, you can enjoy beautiful music without worrying about the sound quality of the music. 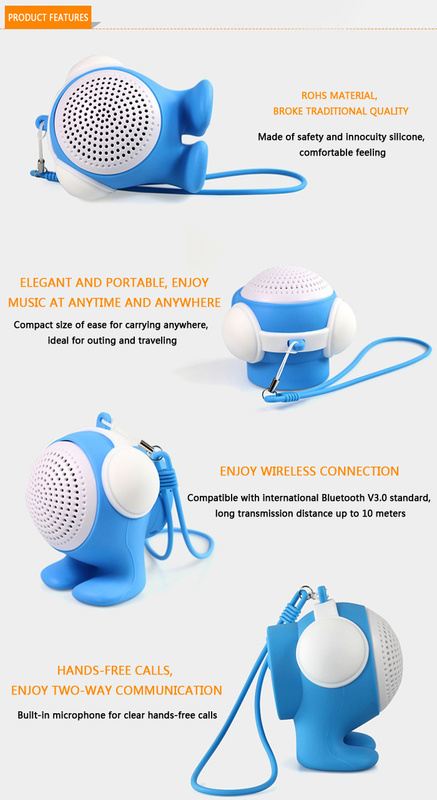 In addition, it comes with hang rope, more convenient for you to carry while traveling. 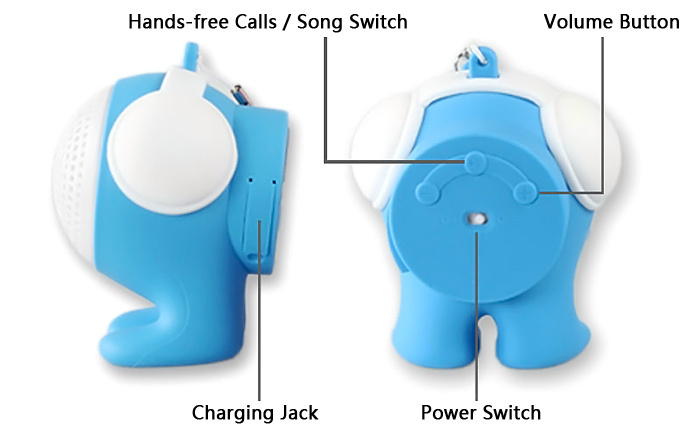 High capacity rechargeable lithium battery for long time standby and run. 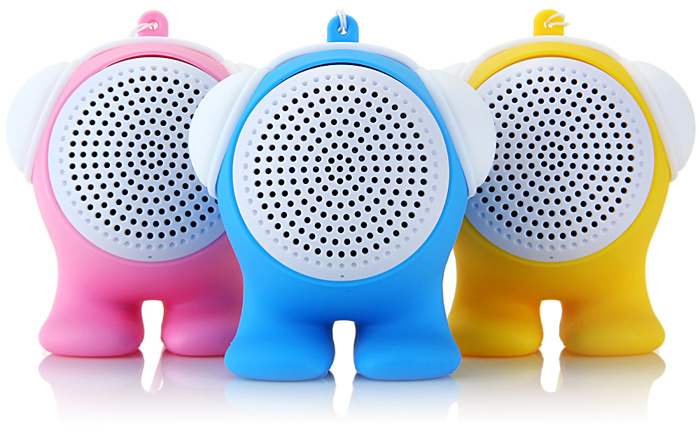 In a word, it is time for you to invite everybody to join you and share the beautiful sound together with you.